Three men from Luton have been sentenced to a total of 25 years after they violently attacked two men in the town centre. Bertie Symonds, 21, of Farley Farm Road, Can Kilic, 19, of Luxembourg Close and Thomas Killeen, 20, of St Pauls Road, were sentenced at Luton Crown Court on Thursday, March 29, for their role in the incidents which left one victim with a fractured skull. In the early hours of Friday, 27 October, Symonds, Kilic and Killen were in Luton town centre where they assaulted a 30-year-old man in George Street and stole his mobile phone. Shortly afterwards they approached a 47-year-old man in Park Street where they violently attacked him, causing him serious head injuries. Symonds was sentenced to nine years in prison after being found guilty of causing grievous bodily harm with intent following a trial. 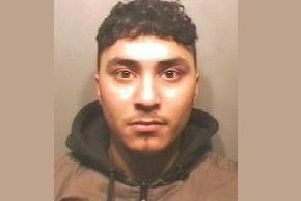 Kilic was jailed for eight years after pleading guilty to causing grievous bodily harm with intent, attempted grievous bodily harm, robbery and affray. Killeen received eight years in prison after pleading guilty to causing grievous bodily harm and theft. He was also found guilty of robbery and affray following a trial. Haydee Croes, 35, of Albert Road, Luton, who was with the men at the time of the incidents, was given a two year suspended sentence after pleading guilty to robbery. Detective Constable Tim Worden said: “This was violent attack that left one of the victims with serious injuries, and I am glad that the offenders are now behind bars.